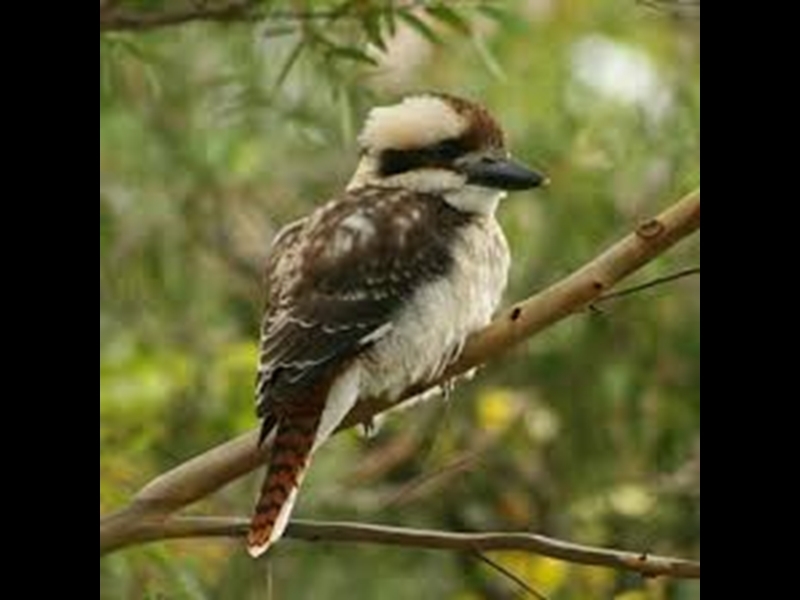 Walk your way along the creek through the Hepburn Regional Park. This walk will take you through this historic mining area. Keep your eyes open for mining relics along the trail. 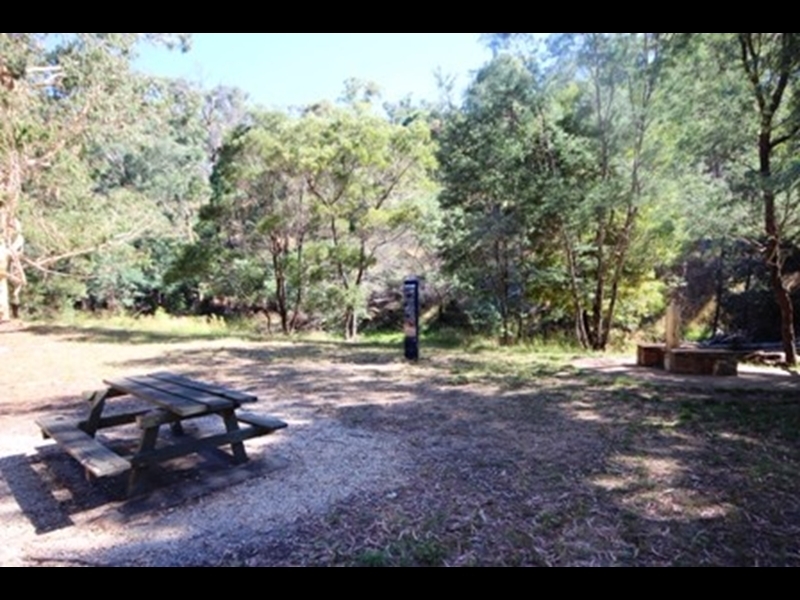 Start the walk at Tipperary Springs picnic area and mineral spring . 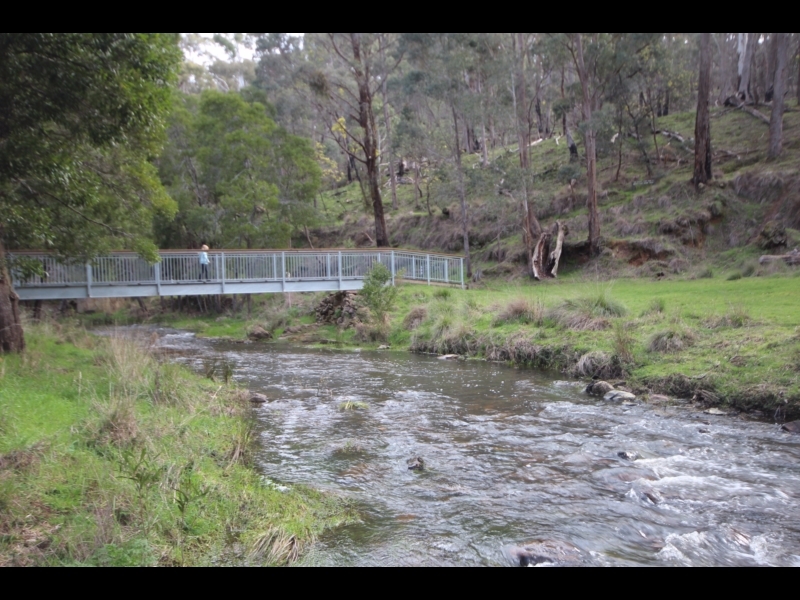 Cross the footbridge past the picnic area to join the walking track along the west side of the creek. 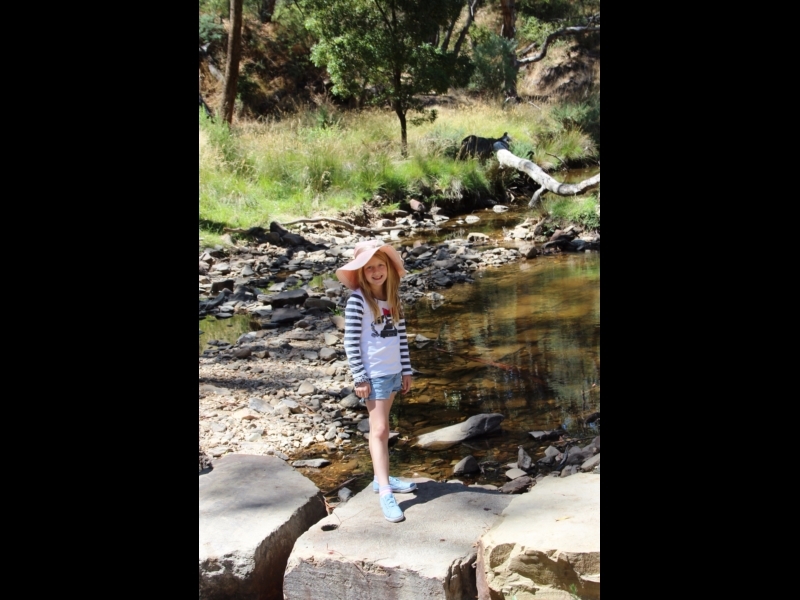 Continue along the walking track through old gold diggings and take the stepping stones across the creek at Bryces Flat. 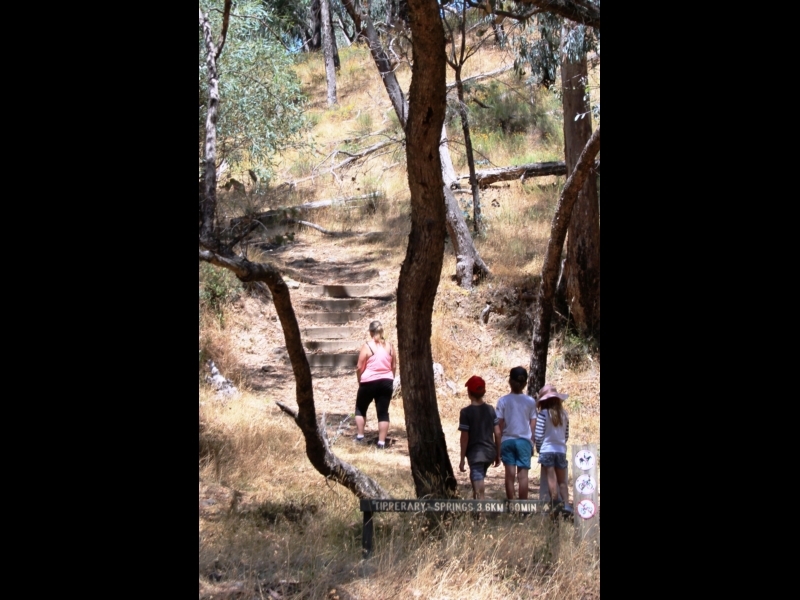 Take the trail on the east side of the creek and look out for the disused Mistletoe Mine on your return journey. Always check current conditions before you walk. For more information on Hepburn Regional Park and current conditions, including closures, contact Parks Victoria on Ph: 13 1963. There is an abundance of mineral water reserves in the region. 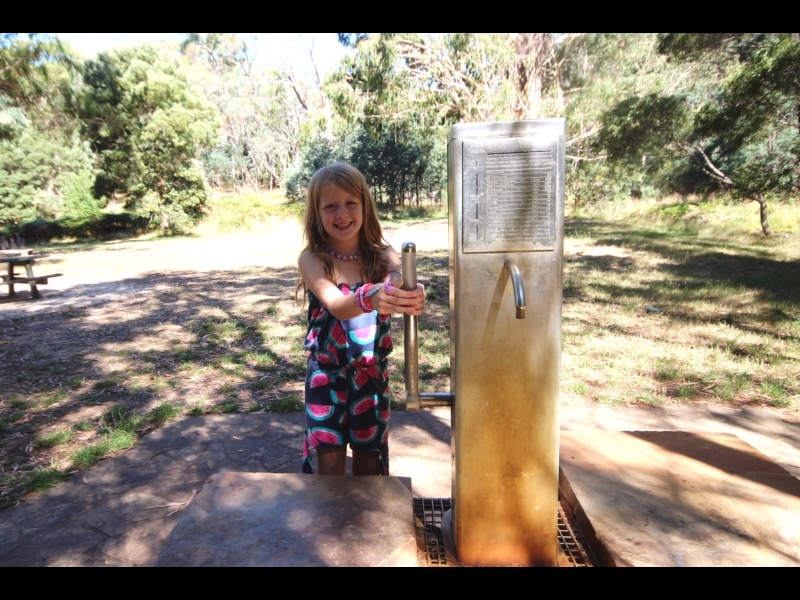 Take some time to taste the waters at the mineral spring, with a hand pump and free flowing pipe. 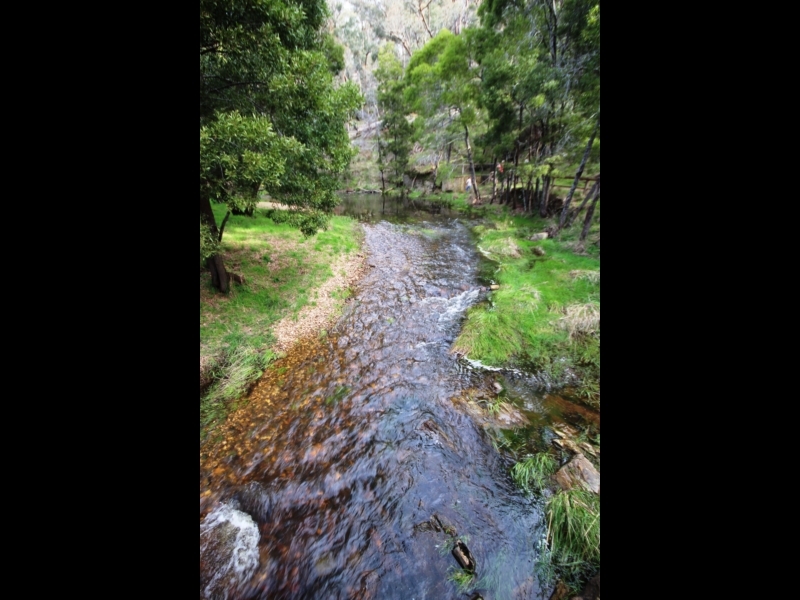 A beatiful creek and forest where gold mines once dotted the landscape. 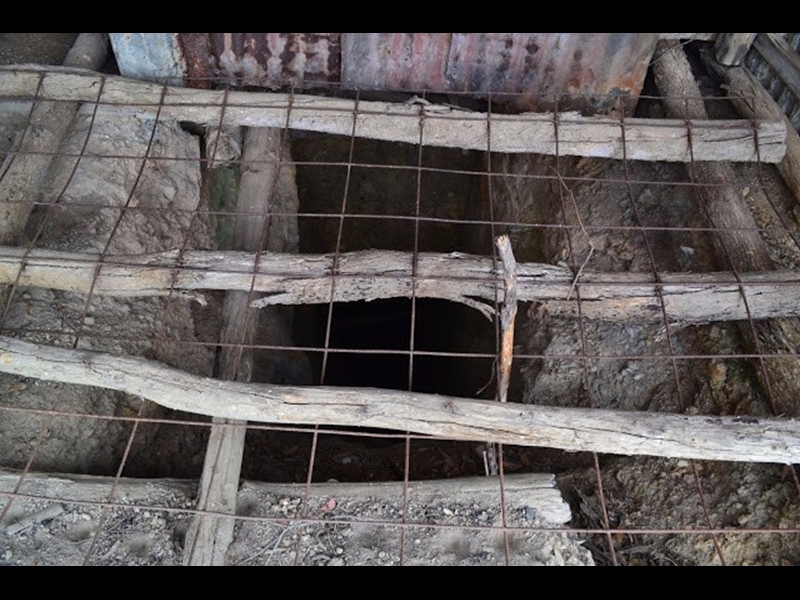 Try your luck, get your miners right and gold pan and see what you discover. Fossikers have discovered gold and gems. A leftover relic from the mining days. This disued mine has been capped off with wire mesh. Stop for a picnic lunch at this scenic picnic area. These bluestone bloacks act as stepping stones across the river. These are the remenants of a bridge that once crossed the river. The bridge at Tipperary Springs give you access to the west side of the creek and the walking trail. You can also access the second mineral spring across the creek. The perfect spot to start and finish your walk. Picnic tables and the mineral springs are a great place for resting or eating a picnic lunch. Rest your legs and plan your next adventure.